Known as the Las Vegas of yesteryears, this city that is situated in the northwest shore of the gulf of Naples has a really sad story. But let’s get to the bit where it enjoyed its moments of glory and of the occasional bout of the original sin! The ancient Roman city of Baiae was once a popular coastal resort that had a name for its medicinal and therapeutic hot springs which attracted the likes of Julius Caesar, Nero and Caligula. Along with being a major spot for relaxation for the Greeks, it also was known as a hot spot for scandals, corruptions and for (ahem!) what we’d also like to call the remaking of the original sin. It steadily gained popularity, and it was here where the young became carefree, the old relived their youthful days, and the beautiful women had handsome men courting them. In short, it became the Las Vegas of today, clubbed with the serenity of Greece. But, sadly the good times lasted only for a while as the whole city was sacked by the Saracens in the 8th century. Gradually, the town lost its glamour, and with time, all that remained were empty villas, sprawling mansions and vast lawns with no people to grace them. But, fate was not done with the city of Baiae as yet. Baiae was built on grounds that were prone to volcanic activity, which earlier helped in the existence of the medicinal hot springs. With time, what was once a boon soon faded out and emerged as a bane. The water level rose slowly, revealing the true nature of the hot springs, and the once famous city was slowly swallowed by the waters of the Bay of Naples. Today, there is a whole town that comes alive if anyone rents a glass bottom boat or even dives down in the waters. 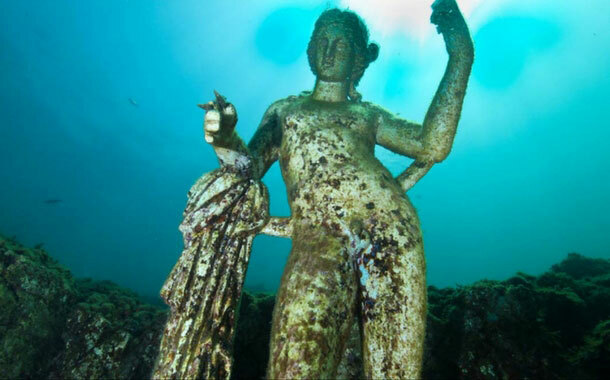 Mosaic floors, whole villas with their crumbled walls and even beautiful Greek statues lie sunken underwater taking with them their stories of much better times. 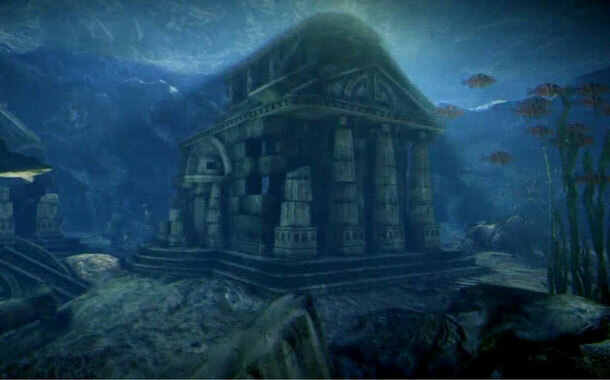 The sunken city of Baiae is not the only place in the world that has hidden its many stories underwater, find out more about such underwater tales here.